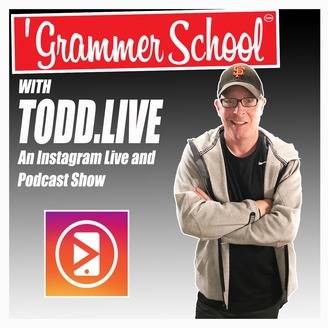 Live stream video, social media professional, and business owner Todd Bergin aka Todd.LIVE is the host of 'Grammer School, the first ever Instagram Live show and podcast focusing exclusively on Instagram marketing for small business and entrepreneurs. Todd has been an entrepreneur in some fashion since he was 13 years old, with over 20 years of online entrepreneurial experience with digital marketing, social media, business development and branding, marketing, blogging, vlogging, Snapchatting, website development, and live video marketing. 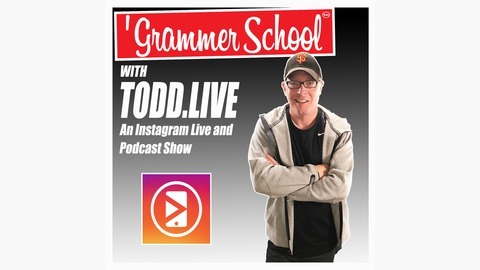 Todd shares his unique perspective on all things Instagram, Instagram Live, and Instagram Stories, including Instagram tips, Instagram tricks, and all things Instagram, and with a healthy dose of live video and podcasting education where it makes sense. Do Your Newsfeed Videos Need Captions? Grab and Go Mini Tripod or a Nice Gimbal for Recording Instagram Video? Have You Had Hashtags That Didn't Work in Stories?